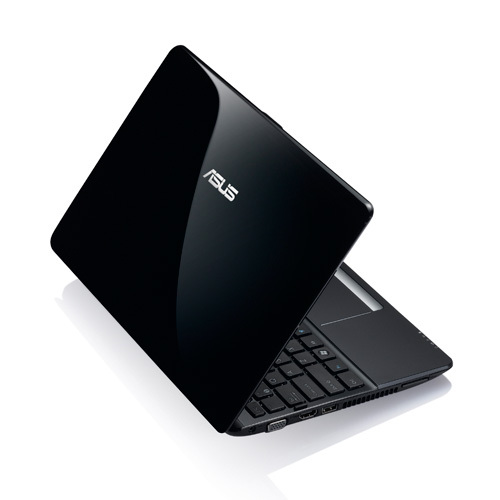 Asus popular 12.1-inch, 1215 chassis which has been home to a variety of Intel and AMD chips over the past two years. A few months ago, we saw this get the AMD C-50 Fusion APU. This basically gave it netbook like performance with boosted graphics capabilities. Now, finally gets what many have been hoping for: a AMD Fusion E-450 APU. This gives it the power of a true ultraportable laptop. The Asus Eee PC 1215B AMD E-450 also comes with USB 3.0, and a large 6-cell 5200 mAh. These specifications put the Asus Eee PC 1215B E-450 ahead of the popular HP Pavillion DM1, our own personal favorite, the Sony Vaio YB, and the most portable of the three, Samsung Series 3. It is the only one of the four to support USB 3.0 which is ten times faster than USB 2.0. The battery of the Asus Eee PC 1215B E-450 is also 20%-50% larger than its three competitors. The other AMD E-450 ultraportables have 11.6-inch screens. The Asus Eee PC 1215B E-450 has a larger 12.1-inch (1366 x 768) screen, so it weighs in 3.2 pounds, which is actually the same as the smaller Sony Vaio YB and is lighther than the HP Pavillion DM-1. The Samsung is still the lightest at 2.7 pounds. The other specifications are what you expect, 2GB of RAM, 500GB hard drive, built in card reader and HDMI out. Priced at Php21,450 it is also wont cost you more than its HP, Sony and Samsung competition. The only letdown is the operating system. The Asus Eee PC 1215B E-450 comes with Windows 7 Starter, like the Sony Vaio YB. The HP Pavillion DM-1 and the Samsung Series 3, come with the more feature filled Windows 7 Home Basic. 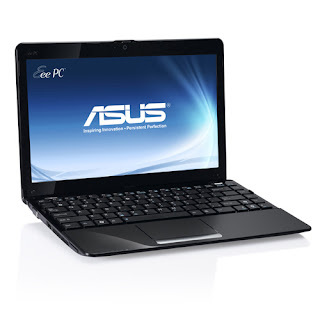 Still, if you are looking for a small, inexpensive 11 to 12 inch laptop, Asus Eee PC 1215B E-450 is the one to get.